My 12 year old daughter is turning 13 next weekend. She wants to have a girl/boy bonfire party. What are some good ideas for having a girl/boy bonfire party? Even if some kids do act standoffish and like they are too grown up, bring up some good old fashioned games like three legged races, murder in the dark, balloon popping races and hide and go seek. Maybe they will realize that having fun outdoors with friends and family is something that never grows old. Good luck with the teenage years ahead! And beware of the dark corners, thirteen year old try to get away with anything if left alone! 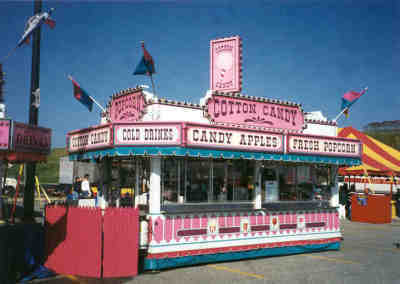 I am planning one for my daughter this Nov., she will be 18, this got me to thinking about her likes throughout the years and I came up with a Cotton Candy Princess/Carnival concept with fire pit fires. I will have a tent or so up adding rough fabric to create the tent toppers, I am collecting toddler games like bowling game, badminton, a plastic basketball hoop etc, balloons everywhere, I am making a photo shoot board with a pic on it, they put there faces in the holes and take pics, I am having Ice cream cone cakes made and I am making cupcake poppers cotton candy flavored w/toothpick sticks with cotton candy on tips for decoor plus, small buffet of favorite foods & Ice drinks with variety of flavors, candy decor, christmas lights, music, Invitations will be like Carnival tickets etc. Going Wild, & most things I get from Thrift stores, old sheets for fabric, freecycle on yahoo & craigslist, its really up to you 2 bring it together, daughter will likely luv helping, Ours is a surprise, oh, I will be using plastic colored dishware & plastic picnic plate holders for making Candy Sucker decor, how cute.When she drives down our road, she will be in utter amazement seeing the lights balloons etc from this entrance to our backyard, its perfect! Want any help with decor craziness/frugalness on how, let me know I love letting my imagination go beyond the box...Happy Party Creating...oh, trust your daughter, trust this will bee a fun & happy good time vs the negative thoughts & it will bee a great time! Well, I'm 13 turning 14 and I had this sleepover last year and it turned out to be really lame. My birthday's in October so I thought about doing a bonfire! Parties are usually better if the kid plans it because most parents don't know what they're kids like (unless you like the cow girl/boy stuff ) Anyways! I am having my 13th birthday on February 16. I am having a camp out and a bonfire at night. What should I do from 6 to before we go to bed? I am a male. If you have access to a computer projector and screen, what about a back yard drive-in? Hook up a laptop with a DVD drive and pop in your favorite movie. My daughter had a camp out this year for her 10th birthday. We swam, canoed, played volleyball, Frisbee, horseshoes, etc. They played music loud and danced. They cooked either hot dogs on a stick or wrapped a hamburger patty in aluminum foil and threw it in the fire to cook for dinner. We did not make a cake (too hard to transport) so we let the birthday girl make the first s'more and stuck a 1 and a 0 in it for 10 and let her blow them out. Then everyone dug in for their turn. I am having a 13th girl/boy birthday party at my house and i don't know what to do. I want to have a bonfire in my backyard but I don't know what else to do.